Waiale Elua is Maui's newest 100% workforce housing project located in Waikapu. 70 homes will be built by FABMAC Homes and Hope Builders. Infrastructure improvements will be completed this year and then home construction to follow. The residential subdivision will consist of 3 - 4 bedroom homes with 2 car garages on lots starting at 4,000 sq ft. The project will include a community park. Waiale Elua is an income qualified project and applicants must meet eligibility criteria established by the county of Maui. Applicants must be a citizen of the United States, 18 years or older and gross annual family income must not exceed 140% of the County's median income as established by HUD. Applications will be accepted until 4:00 PM on March 29, 2019. The lottery will be held in April. Contact us with any questions regarding qualifying criteria and the to get registered for the lottery. P.S. - Haiku Town Acres is now accepting reservations for 12 new homes to be built on large Ag lots. There are two floorplans available, a 3 bed, 2 bath "main home" and a 2 bed, 2 bath "ohana" which have been condominimized. Contact us for floorplans and price list. Stunning bi-coastal ocean views from this exquisite ranchstyle home, cottage and 3 car garage, near the tranquil Keokea community. Rarely do you find such a quality crafted 4 bed, 3 bath single level home with 3 fully permitted structures on a bountiful .64 acres. Located at the top of the hill in the highly sought after neighborhood of Kilohana Ridge lies this exceptional 4 bed, 3 bath home. This exemplary residence boasts panoramic Ocean, Molokini, Kahoolawe and Haleakala views from the main living room and lanai. Imagine being just a short stroll from the world-renowned Keawakapu Beach. $2.375M (FS) South Maui Smart Estate with Unobstructed Ocean Views. Property additionally offers a newer detached 1 bed, 1 bath cottage with ocean views and a separate studio for extra income or extended family. The main home has a 3-car garage and is over 3,500 sq ft with 4 beds and 4.5 baths, that all spill out to 2000+ sq. ft of wrap around lanais. $1.849M (FS) Fantastic ocean views are enjoyed from this 4 bed, 3.5 bath, 4,100 sq ft estate. Enter this home through double doors onto marble floors which enhance the gracious living room and dining areas opening to a large ocean view lanai. The spacious kitchen was designed to offer plenty of options to organize every chef’s needs. Bank Owned - Enjoy fantastic ocean views from this contractor's special. 4 bed, 2 bath house, 1 bed, 1 bath cottage and pool on a lot over 10,000 square feet in need of renovation provides opportunity to build sweat equity. $585K (FS) Currently one of the best priced multi dwelling properties in Upcountry Hali'imaile. Live in one, rent the other or care for extended family. A 2 bed, 1 bath main home and newly renovated never lived in spacious and beautiful 1 bed, 1 bath ohana. Beautifully remodeled 3 bed, 2.5 bath home in Haiku ready for you to move right in. All brand new stainless appliances, flooring, interior and exterior paint, kitchen and bathroom cabinets and countertops. Enjoy the beautiful scenery from your huge wrap around lanai, you can see everything from the ocean to the mountains. Tall Royal Palms line the way, creating a dramatic approach as you enter this distinctive 2 bed, 2 bath property. Ultimate privacy and a tropical feeling has been created with a mature, lush and edible landscape design. 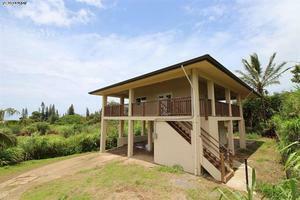 This freshly remodeled cottage has ocean views, and two large lanais, off the front and back. This is your opportunity to own an exceptional custom built home in the highly desirable neighborhood of Kihei Village. Located near the end of a quiet cul-de-sac, this home offers a spacious 4 beds, 3 bath main home along with a 1 bed, 1 bath in-law suite. Mahinahina Beach Resort offers a pet-friendly residential oceanfront community with resort-style amenities. Enjoy year round sunsets and seasonal whale watching from the privacy of your lanai. Top to bottom renovations have been done throughout this fully furnished 2 bed, 2 bath single level condominium that feels like a single family home. $1.6M (FS) Beautifully renovated top floor, 2 bed, 2 bath unit at the prestigious beachfront Mana Kai Maui Resort with endless views of the azure waters, golden sands and tropical outer-islands as well as the lush, tropical Mt. Haleakala. The recent remodel reflects quality craftsmanship and elegant finishes. Located on the quieter South side of the penthouse building, Wailea Beach Villas unit 204 is a superb 2 bed, 2 bath residence that can also be used as a successful vacation rental property. Known for its designer finishes, the Wailea Beach Villas floorplans provide a well-designed, relaxed living space situated on over 10 acres of a lush tropical grounds. The villa you have been waiting for at Ho’olei. This is the largest and most highly sought after 3 bed, 3.5 bath floor plan in the community. Truly a legacy property perfect for multigenerational enjoyment. Situated on the very center of the last hotel-zoned development in Wailea. Ho’olei 21-1 offers premier world-class amenities. Kauhale Makai Unit 312 is a third floor 2 bed, 2 bath condo with great ocean views. Features include an ocean front master bedroom suite, tile flooring throughout and is being offered fully furnished/turnkey. Kauhale Makai, also known as Village by the Sea, is a wonderful oceanfront complex located in Kihei. $579K (FS) Superb ocean views from this 2 bed, 2 bath condo. Quiet location. Remodeled. Vacation rent-able. A great location at Maui Vista. The love that the owners of 3-404 put into the unit shows very well. Because the unit is not rented, the Bosh/GE Appliance look brand new. The same thing goes for the Hertco cabinetry and the quartz counters. Beautifully updated 1 bed, 2 bath ground floor unit located in Wailea Ekahi. This unit was tastefully done with imperial plaster walls, tile throughout, bamboo closet doors, and plantation shutters. The open kitchen has granite counters and backsplash, stainless steel appliances, wood cabinets with glass inlay, and crown molding. $821K (FS) Stunning remodel of this beautiful ocean view 2 bed, 2 bath unit. Nothing was spared in detail and design of this complete remodel. Gorgeous cabinets, granite counters, hard wood and tile flooring, bathrooms, furnishings all are top of the line. And the view from this 3rd floor unit is breathtaking. $889K (FS) Kaanapali Resort and Golf Course views from this spacious 2 bed, 2 bath unit with approximately 1,534 sq ft of living area and a huge lanai with 495 sq ft floor plan is single level with the master bedroom and bath on the west side and the guest bedroom and bath on the east side. Modern and professionally furnished one-level, 2 bed, 2 bath condo available now at the beautiful Masters private gated community in Kaanapali. This 1,512 sq ft condo has been professionally redesigned by a renowned local interior designer. No HOA condo fees until 2020. Your gorgeous Kai Malu home awaits. Enter and let the peaceful relaxation begin. This home is beautifully kept, with travertine tile flooring downstairs, except for the gleaming hardwood floor upgrade in the 1st floor bedroom. You feel yourself drawn to the lanai and the tranquility of your private pool with spacious backyard area to catch those amazing sunsets. $1.49M (FS) Arguably the best location in the Hokulani Golf Villas community can now be yours. The expansive ocean and outer island draws your eye from the moment you step foot in the home. 1786 Hihimanu Street is a rare offering in Hokulani Golf Villas where all the best elements of the South Maui lifestyle come together in this 4 bed, 3 bath home. Charming ground floor home at Iao Parkside. Spacious fenced yard with fruit trees and relaxing ambiance. Recently remodeled with offset tile floors, hardwood cabinets, granite counter tops. Large floor plan 2 bed, 2 full bath unit. $399K (FS) Keonekai Villages is South Maui's best kept secret. Just a short walking distance to the best beaches, conveniently located yet quiet and clean. This 2 bed, 1.5 bath is in very good condition and is a great starter home for entry level owner/occupant or the potential for a rental property for the investor. $665K (FS) Perfectly move-in-ready. Meticulously kept, 4 bed, 3 bath home, features two master ensuites – one downstairs that can double as a large den, with another one upstairs that sports an ocean view, nice bath and large walk-in closet. Central air, new kitchen appliances and a security system installed. Privacy fencing for the back yard with beautiful landscaping. A rare opportunity to buy 1/2 acre of vacant land in a historic, plantation era, neighborhood. 10 minutes to Paia and located centrally in Haiku only 1 mile from the grocery store and between the two cannery malls. Peaceful, family homes line Mopua street, displaying mature trees and colorful landscaping.